Moving with an aquarium is the stuff of nightmares. It has been a month and I still haven’t moved my tank to my new apartment. Luckily, I was able to take my time and did not have to shift everything over in the span of a day, but that has not helped me sleep any better. The aquarium is SPS dominant, with colonies that are anywhere between 1-5 years old. 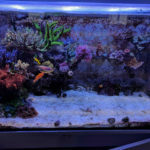 Unfortunately, most of corals perished 2 years ago in the midst of a tank upgrade and many others withered down to nubs. Fortunately with a little patience, the surviving nubs have blossomed into big colonies. Now that they are big and beautiful again, this is going to make moving even that more concerning. Corals, like people, don’t like change. A tank move or upgrade is a change in the environment. Water quality change with the addition of new water leads to suddenly cleaner conditions. 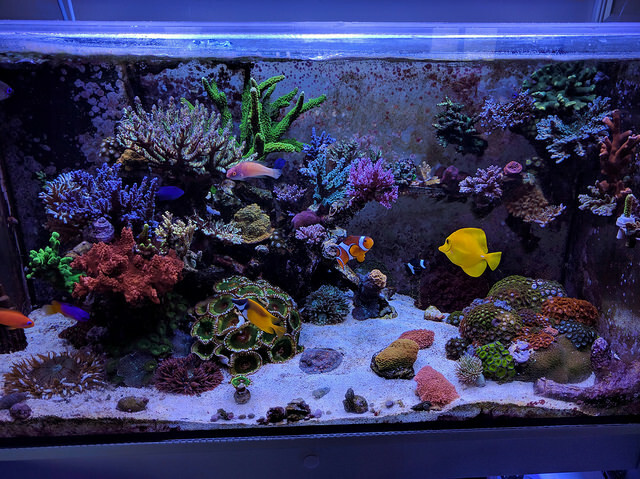 Thinking back to the previous upgrade I did 2 years ago, I suspect that the sudden change of water led to the SPS necrosis that occurred within the first 2 weeks after the move. I cried everyday for weeks, no, really I did. 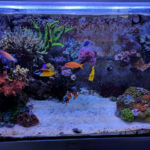 When you have this amount of time, energy and money tied into the aquarium, moving the tank and contents can be a daunting task if you are not careful. Leading up to this move, I tried to think of everything that could possibly go wrong and then rethink it again. To prevent a catastrophe like this from happening again, I decided to add a canister filter to the tank six weeks prior to setting up a 40 gallon breeder as a holding tank at the new NYC apartment. The canister is full of floss, sponges, carbon, and Brightwell Aquatics Xport Bio cubes. 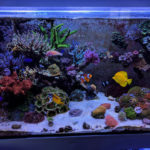 To minimize stress on all involved, I filled the aquarium with a mix of new water and old water from my existing tank, allowing the probiotic bacteria from the old system to start reproducing in the new system. Once the holding tank was full, I moved the canister filter from the existing aquarium over to the new system. Monitoring the Seachem ammonia badge kept me ahead of any ammonia spikes that could be occurring. I also utilized the Auto Aqua Smart ATO to stabilize the salinity. 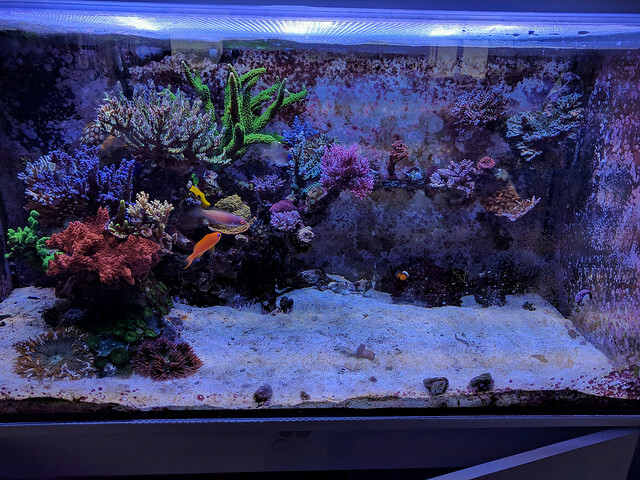 For temperature management, I used a simple Reef Solutions controller. 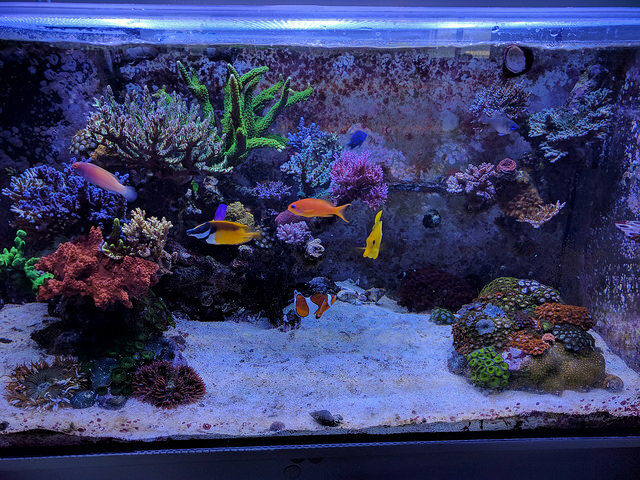 In the end, moving corals over bit by bit has helped me feel confident that the system crash I experienced last time will not occur again in this move. Welcome Kat! Looking forward to part 2, good luck! Will Kats articles incorporate her trademark high heel pics? I’m out if they don’t.